Build a school where students flourish academically while also meeting their social and emotional learning needs. In this practical school leadership book, author Jane A. G. Kise offers a toolkit of strategies specially designed to support the daily work of school leaders. Learn how to overcome ongoing challenges, navigate competing priorities, and unite your entire school community around one common purpose: supporting whole-child learning. Understand the benefits of student engagement and having the whole child present in the classroom. 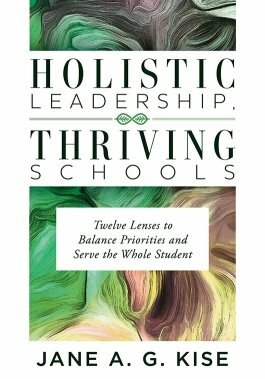 Study the twelve lenses of leadership—core educational leadership responsibilities that are essential for leading whole-child schools. Develop leadership skills and emotional intelligence to overcome biases and balance student and adult needs. Learn how to create an environment strengthened by collaborative trust, where students and educators feel engaged and motivated. Gain insight into SMART goal-setting for leadership development, establishing a priority focus to achieve real goals.